Pretty Car Mats made by Pretty Products for your new Honda, Subaru, or Toyota. Pretty Car Mats are made by Pretty Products LLC. The company has been around since 1929. In 2008 - 2009 the automotive industry downturn forced Pretty Products to retrench. The company consolidated its manufacturing, research & development and administrative functions that were previously located in Ohio and Tennessee into their 32 acre campus in LaGrange Georgia. On June 15, 2010 the company filed for Chapter 11 bankruptcy, but continues to operate, serving their 3 major customers; Honda, Subaru and Toyota. Enough business talk, let's look at some pretty car mats from Pretty Products. Note : as of 19-Mar-2015 it appears as if Pretty Products LLC is out of business. Pretty Products manufactures both carpeted car floor mats and rubber car floor mats depending on the needs of the car manufacturer. 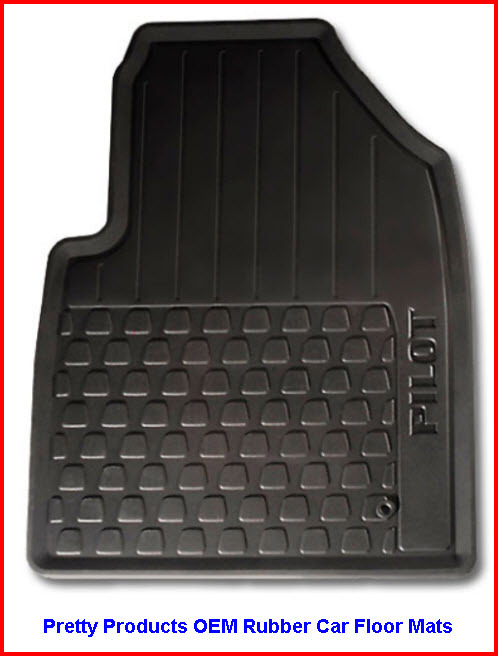 Both types of car mat qualify as all weather car mats and are of OEM quality. 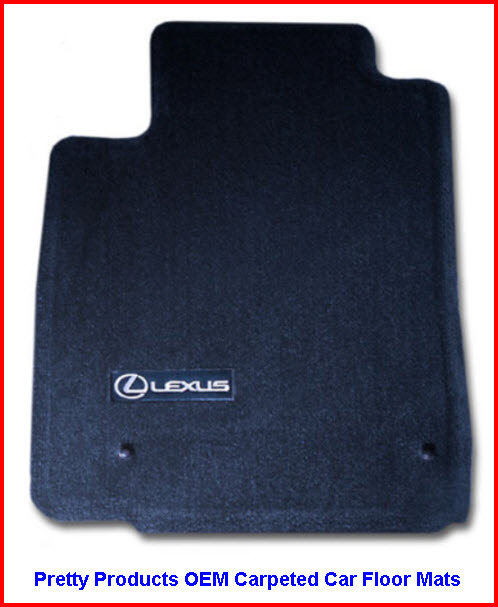 Typically the luxury vehicle lines like Lexus use carpeted car floor mats while the more utilitarian vehicles like the Subaru use the rubber car floor mats. Use a universal absorbent car mat protector to help keep these mats clean and dry. OK, here's a quick bit of info on each type of mat and some pics.